Second, there was a part of him, and I didn't know how dominant that part might be, that thirsted for my blood. Isabella Swan's move to Forks, a small, perpetually rainy town in Washington, could have been the most boring move she ever made. But once she meets the mysterious and alluring Edward Cullen, Isabella's life takes a thrilling and terrifying turn. Up until now, Edward has managed to keep his vampire identity a secret in the small community he lives in, but now nobody is safe, especially Isabella, the person Edward holds most dear. The lovers find themselves balanced precariously on the point of a knife, between desire and danger. Deeply sensuous and extraordinarily suspenseful, Twilight captures the struggle between defying our instincts and satisfying our desires. This is a love story with bite. Very nice narration. Smooth listening. Helps to make long hours on the road more interesting. I mean its twilight, not a master piece. so cringy at time, but its entertaining. The date is August 19, 2013 and less than a week ago I knew less about the Twilight series than just about anyone alive. This was deliberate on my part. I imagine I accidentally caught part of a movie preview somewhere and thought, "Teenage vampire love story. No way." And from that moment I tuned out just about every mention of it. I have nothing against vampires, in the proper setting, but I don't like romances and I'm not a teenager. So, absolutely ALL I knew was: Vampires, teenagers, love, and some guy named Robert Pattinson that all the young girls were raving about. It had never even occurred to me that it was a book, although movies like this frequently are based on novels. Last week I was chatting with my nephew's wife and I asked her if she liked to read. She mentioned that she had read all of the Twilight books. I was polite but I secretly scoffed and changed the subject before she could say any more about it. A few days later I was talking on the phone with a friend of mine and she seemed to be certain that I would have read the Twilight books because they were "just exactly my thing." I scoffed openly. She assured me that I had the wrong idea about the story. 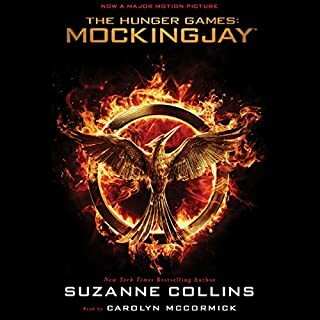 Since I was nearing the end of the book I was listening to at the time, I decided to read customer reviews about Twilight on Audible. Almost all the ones I read stated that the reviewer had avoided these books for the same reasons I had, but were happy that they finally tried it. 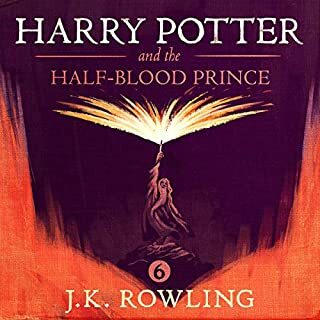 So I bought this first book and began listening with no enthusiasm and very low expectations. 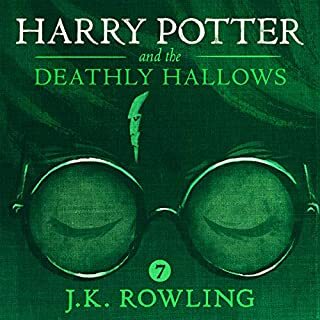 About a half hour or so into this book, I just went ahead and downloaded the rest of the series because it was very clear that I was gonna need them and I wanted as little delay as possible. I've had the headphones glued to my head every waking moment since then, and could hardly even bring myself to stop listening so that I could get some sleep. 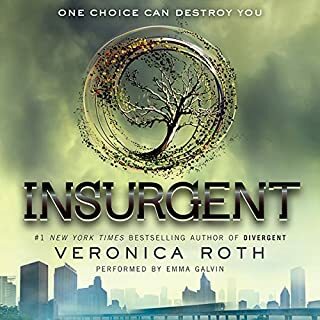 I just finished the last book and I'm so sorry that it's over. However, I'm very glad that I listened. I'm not discussing the plot here because either you know what it's about already, or you are ignorant of it as I was. I had the best possible experience, I think, because I did not know anything that was gonna happen. There were many surprises for me and many opportunities to wonder about some things and guess at others before they were finally revealed to me. I'm even thinking about recommending this series to my mother, even though she's not really into vampires so much. There was quite a lot of humor, which I was pleased about, and also mystery, suspense, action, and a new kind of vampire lore. And, yes, there was also a love story, but very different from any I'd ever read before. 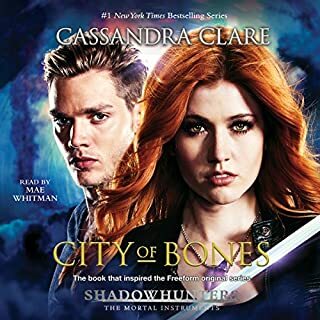 The story and the narrator were both excellent and I highly recommend that you try this series, even if it doesn't seem like your cup of tea. You will probably be as pleasantly surprised as I was. I am not a teenager. I do not read fiction. I did end up reading all four books and loved them! I do not want to leave this world. Which is why I am rereading breaking dawn. So..Waiting for Midnight Sun! The movie does not do this book justice and the narrator of this was awesome. I am looking for more books with her as the narrator! 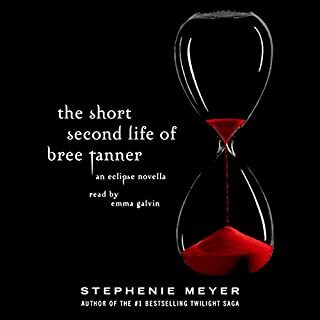 I was pretty late to jump on the Stephenie Meyer bandwagon, but luckily when i did all three of her books were available on Audible! 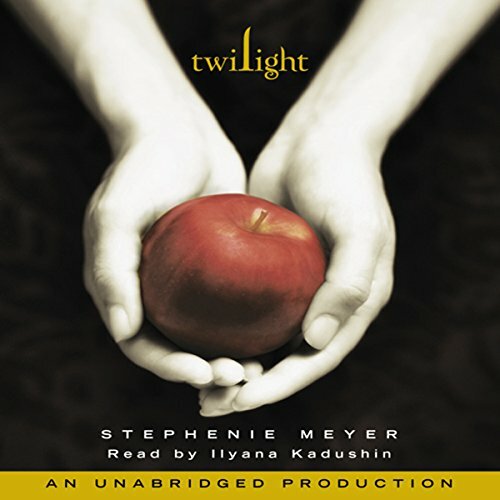 After listening to Twilight i couldn't get the characters out of my head... the love story is beautiful and sweet, and the tension between love and blood-thirst is dizzying... WARNING: you WILL fall in love with these characters, so be prepared to read all three books in rapid succession! At this point everyone knows what Twilight is about and very little needs to be said about the characters or plot. What does need to be mentioned, though, is Ilyana Kadushin's unparalleled performance as Bella. 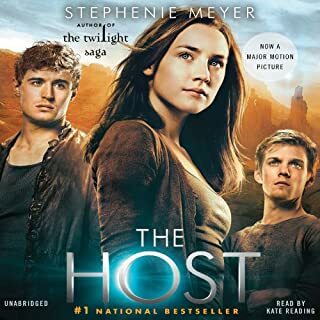 After listening to this book I had a hard time believing Kristen Stewart's performance in the films. She just falls short of what Ilyana is able to accomplish here. Fantastic. A waste of my time this wasn't. 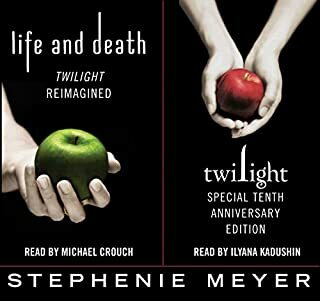 For months I'd gone back and forth with myself about whether I was going to read the Twilight novels. But being blind, my only options were to either find them in braille, a medium which I find extremely tedious to be quite frank, or to listen to them. 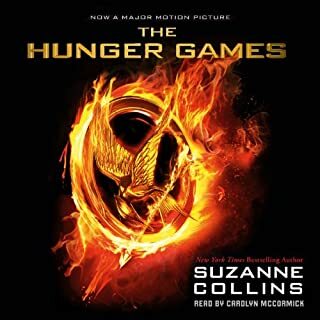 I tried at first to listen to the Library of Congress version, also known as the Talking Book version specifically recorded for us blind folks, but the narrator's voice ruined the story for me. 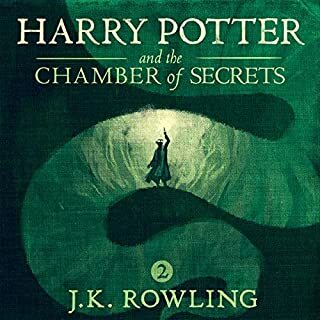 But as is often the case in these situations, the commercially available audiobook was done much better. The story itself was far more interesting than I was expecting, always a plus, but Ilyana Kadushin's narration added just that little bit more to the pie, so to speak. 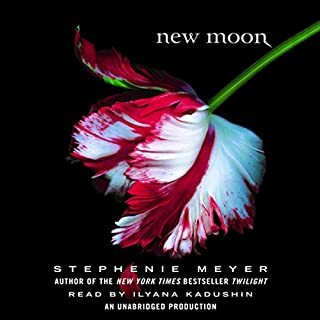 Her smooth, slightly husky voice doesn't seem out of place, particularly when the character speaking is Edward Cullen or Jacob Black. I didn't hear the flatness that another reviewer complained about. 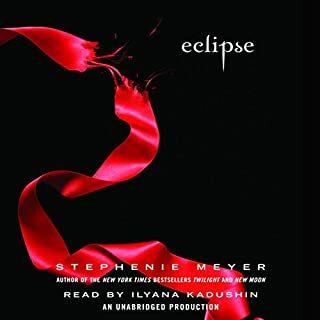 I don't think they could have picked a better narrator unless perhaps it were Stephenie Meyer herself. Needless to say I'm glad I spent the two credits on this program, although I'll say right here and now that I messed up my sleep cycle for the next several weeks reading the entire series. 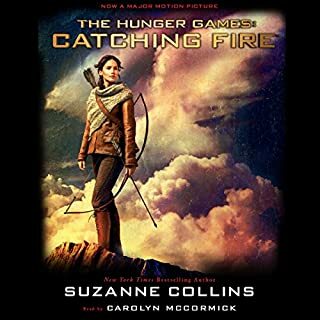 Book review: I watched the movie first, and reading the book filled in all the gaps in details that wasn't covered on film. It's very mild (PG wise), but well written, and really leaves you wanting more. Some phrases are extremely repetitious, and I did get tired of hearing how 'perfect' Edward was. If you're an adult and looking for a little more heat with the same subject matter (vampires/supernaturals) try the Sookie Stackhouse novels. 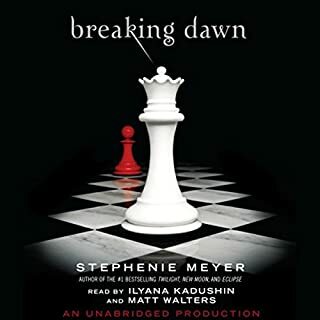 Narrator review: After getting used to Kristen Stewart it took my ears some time warm up to Ms. Kadushin, but after reading the entire series, Bella wouldn't be right read by someone else. 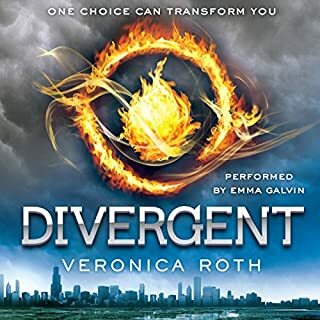 I've read other audio books and have really enjoyed them because the narrative helps bring the story to life by using different voices for the characters. The narrative for this book was lifeless. 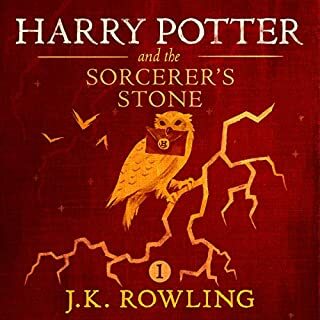 I was really looking forward to the audio book but am extremely disappointed. This is a wonderful story. I think it's almost better hearing it read rather than reading it yourself. And the narrator is absolutely fabulous. I fully enjoyed this and highly recommend it to others. Beware, though: it's addictive. For some reason this very simple and beautifully written story was very hard to put down. 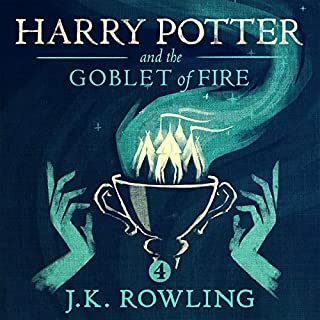 I am an older reader and have "read" many excellent audio books and this is one is such a lovely story with an excellent narrater and highly recommended. First off, I would like to say how I have always been fascinated with vampire lore and the mere thought of undead creatures that live by night and feed on the blood of others. With that said, Twilight was a bit unexpected in that the book's main focus was about true love found between a mortal girl and a vampire. I was easily pulled into Stephenie Meyer's world of Forks, Washington where most of the story takes place. The author develops the characters very will and goes to great lengths to explain and point out vampire strengths as compared to humans. Twilight revolves around a sea of anger, inner conflict, and unexpected, undying love that will keep you listening into the late hours of the night. Personally, I loved this book! P.S. For those of you who are looking for just another vampire slasher, check out Anne Rice's books. This one would not be for you; however, if you want a great vampire love story, I suggest checking it out.